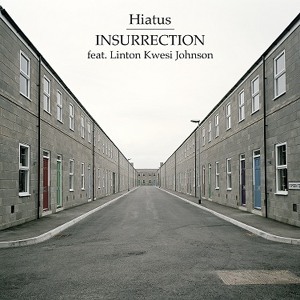 A great tune I’ve clocked only recently, feeling it big time – The deep bass and searing synth sounds alonside the sinister vocals of Linton Kweli Johnson give off big vibes, dealing with the controversial subject of the ’81 riots in Brixton. Had to big it up. Enjoy the deepness. Hiatus – real name Cyrus Shahrad – has long been fascinated by the events of April 1981, a violent retaliation against years of joblessness, segregation and police intimidation among Brixton’s black community, and which shook Thatcher’s Britain to the core. “It seems a potent time to release Insurrection,” says Hiatus, “partly because of the anniversary, but also because we’re once again staring into the cold eyes of a Conservative government oblivious to the dangers of racial and social profiling. This entry was posted in The Robot Recommends and tagged bass, bodypop, dark, deep, dubstep, Hiatus, insurrection, linton kweli johnson, robot, sinister by 1nejack. Bookmark the permalink.